Tags: cookies, launch, baked, goods, mini, event, crusaders. VICTORIA, BRITISH COLUMBIA, April 1, 2016 – Codename Entertainment announced today the expansion of the Crusaders of the Lost Idols game universe into the baked goods market. Starting this month the company will offer a new product line of cookies based on the award-winning idle/clicker game. 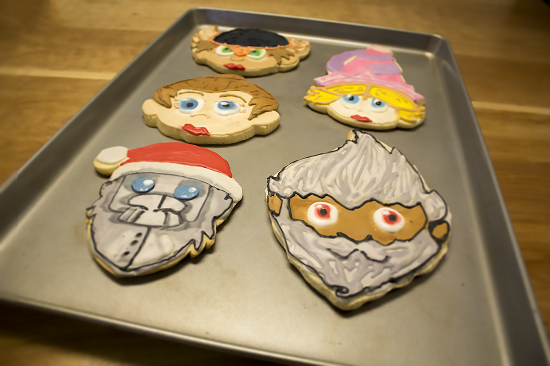 The full-colour hand-painted, artisanal cookies feature the designs of some of the most famous characters from Crusaders of the Lost Idols. Codename Entertainment CEO and Master Baker, Eric Jordan. Gamers and foodies will be able to order directly from fully-branded e-commerce store utilizing the very latest in fulfillment technology. A fleet of drones will deliver customer orders within 60 minutes of leaving the oven. The new cookies are flavoured in honour of their Crusader namesakes. These include Strawberry Princess, Sasha the Fierce Warrior Lime and RoboSanta authentic aluminum flavour. 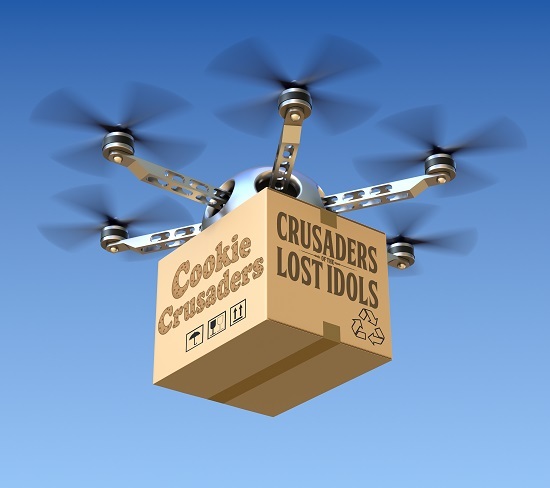 Cookies will be delivered by drone within 60 minutes of baking. 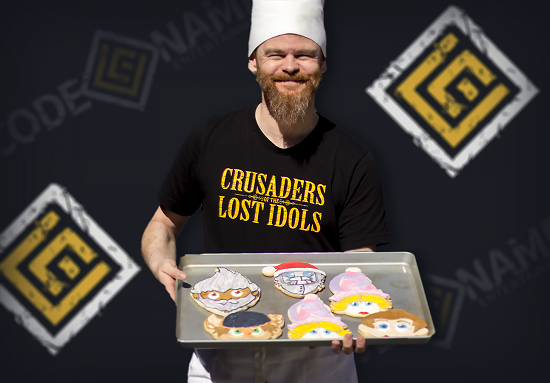 "It's been our dream to find new ways for our fans to enjoy Crusaders of the Lost Idols," said Eric Jordan, CEO and master baker. "We didn't want to settle for just playing the game. We want players to ingest the game, and now they can do just that with our delicious range of cookies." In honour of this important milestone, Codename Entertainment has replaced all of the monsters in the game, Crusaders of the Lost Idols, with cookies. This new cookie-themed mini-event will start later today and run until April 4th, featuring special gameplay boosts for event Crusaders for the duration of the 48 hours. Download the Digital Press Kit here. Crusaders of the Lost Idols is the award-winning and top-rated idle/clicker game that has been played over 14 million times on across all platforms since its launch in July of last year. 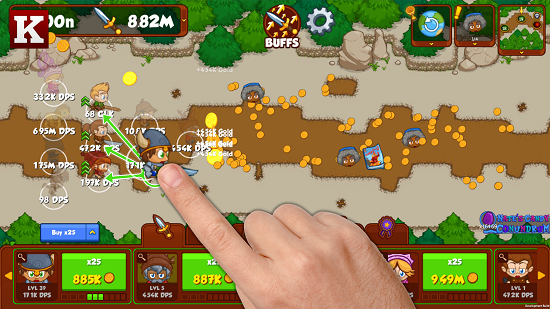 It is the only idle/clicker game to include a formation feature where players learn to master the strategy of organizing their party of characters into the most powerful, monster-destroying formation possible. Codename Entertainment was founded in 2008 in Victoria, B.C. by David Whittaker and Justin Stocks. They started making games for Facebook and evolved into making games for platforms like Kongregate.com, ArmorGames, and Steam. In 2015, the company launched Crusaders of the Lost Idols. It was awarded the Idle Game of the Year on Armor Games, is the second most played game on Kongregate.com out of 117,000 hosted on the site. Players have racked up over 14 million unique plays across all platforms, and more than 1.2 million hours played per month on Steam. Tags: event, community, CNE, Crusaders. MosaiCon 2015 was Nanaimo, British Columbia's first gaming convention and the Codename team attended armed with PCs to demo Crusaders of the Lost Idols. Eric, Clive and Andrew managed the Codename booth and talked with fans about the game, as well as gaming and geek culture in general. Local enthusiasts arrived in force. The organizers had a jam-packed itinerary for the day at Vancouver Island University campus located just outside Nanaimo, BC. There was a cosplay contest that saw some awesome work by various attendees. Top prizes were two top-of-the-line PCs for the best cosplayers. There was also a League of Legends tournament where one lucky team walked away with $1,000. It was an honour to meet everyone who came to see Crusaders. The response to the game after a demo and walkthrough by the team was very gratifying. We explained the game, showcased our unique formation feature and even hinted at upcoming announcements. The attendees were passionate about games whether familiar with idle games or not and by the time they left the booth we had a few new converts under our wings. Thank you to those of you who were able to attend. We love any opportunity to meet and talk with you about any of our games and meet you face-to-face. We're looking forward to being at next year's event. 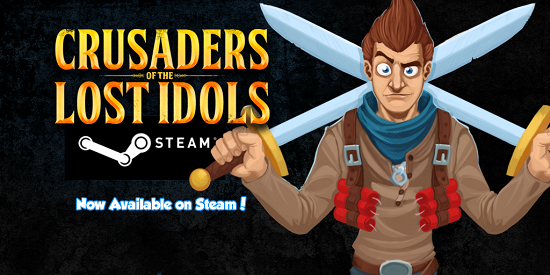 Tags: crusaders, lost, idols, idle, game, incremental. Victoria, British Columbia, 4 August 2015 - Today, veteran games studio Codename Entertainment announced the global launch of Crusaders of the Lost Idols, the next evolution of idle gaming. The game debuted at number 1 in the Idle Games charts on Kongregate.com - the largest dedicated web gaming site in the world. Crusaders of the Lost Idols puts players in charge of a band of fighters set in the fantasy world of Bush Whacker 2. Their mission is to form a mighty group of adventurers to take on waves of enemies as they rid the world of evil-doers, bad guys, terrible T-Rex, irritable escargot and Panda Claw. Yes, that’s right, a giant panda with lobster claws. 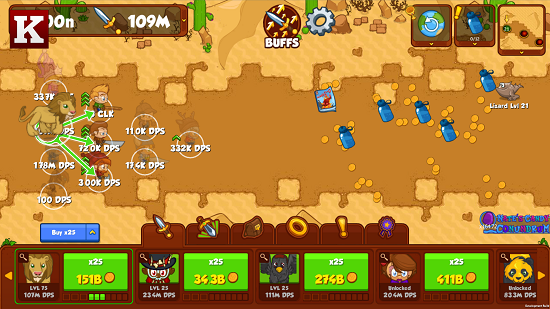 In a unique twist to the new Idle Games category, Crusaders is the only game to include a unique formation feature. Players must now learn to master the art of organising their band into the most powerful formation possible. The position of each fighter in relation to his or her companions will have a significant effect their attack strength. Combined with their equipped buffs and upgrades, this unique feature adds deep complexity to the idle genre. Another key feature of the game is the chance to earn the chests filled with rewards. As your heroes clear each level, they'll be matched-up against a boss character. If your Crusaders win, they'll be rewarded with gold, buffs and equipment to level-up their abilities. Only those players who develop the best combination of formation, characters, buffs and upgrades will survive.